2014 is going to be a big year for a lot groups reuniting, like The Cool Kids who released some new tunes the other week. 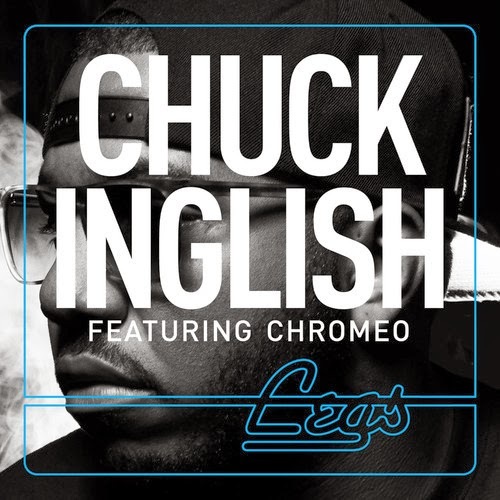 Their first since 2011, but member Chuck Inglish also released this new song called "Legs" featuring the funk duo Chromeo. This combination could not have worked any better and this will also be a single from Inglish's debut solo record, Convertablies, due out in April. The record was co-produced by Inglish and Incubus' Mike Einziger, with features from Chance the Rapper, Ab-Soul, Sir Michael Rocks, Action Bronson, and more. "Legs" has a disco and electro-funk sound, something that Chromeo has mastered, but it also allows for Inglish to lay down some smooth bars within the groove. The sexiness of this track is complete with the lyrics dedicated to a woman's legs. Ahh, great Friday jam right here.